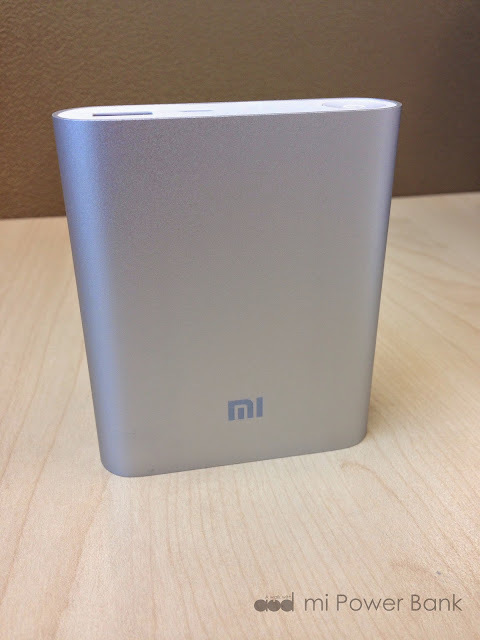 I've been wanting to get a power bank for ages but not sure what have kept me so long to really get one. I love iPhone, and I believe I will always be apple user until there's a better ones in the market (I know that's very subjective but to me, a better ones simply means faster processing, doesn't lag at all, even more responsive and sensitive interface, and better cameras. Oh and better battery life). But, the main problem with iPhone (and all the other smart phones) is the battery life. I can never survived a whole day out without recharging my phone at least once or twice. I am a heavy user indeed. Hence, I am always out with cable in my purse (sometimes even the plug). You've probably seen me standing beside the pillars in shopping mall, well that's me stealing mall's electricity to charge my phone, lol. I wanted something sleek, high capacity, good quality but cheap. If can, lightweight will be better still. That's why I've been researching for power bank on and off, there are hundreds and hundreds types of them out there in the market but none of them successfully got me into purchase. I guess it's because they don't look credible enough or its too expensive. Until... Xiao Mi hits Singapore and Malaysia. 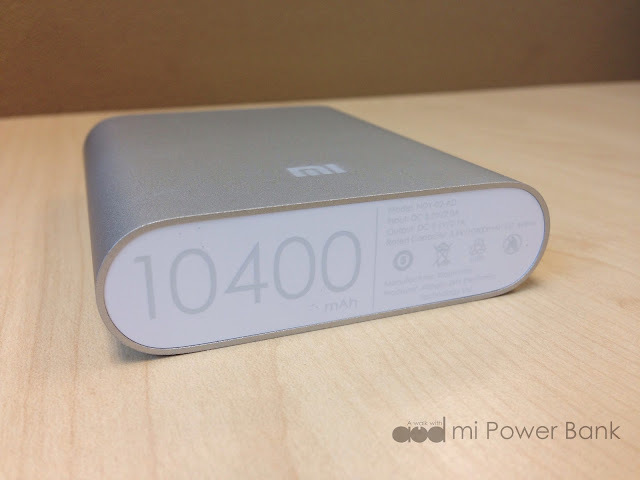 At first, I don't really give much attention to Xiao Mi although everyone was going crazy over it (because I am loyal to my phone brand), but when they launched their power bank. Its a different story. After a few rounds of queuing, I finally got 2 units (one for kareshi, one for me)! I didn't manage to get from Malaysia but from Singapore. Buying from Singapore is slightly more expensive as there's a $5 shipping fee whereas Malaysia is free shipping. When I finally received it, I was surprised by it's size and weight. It is much bigger and heavier than I thought it would be (I expect it to be slim and lightweight). It is slightly bigger than my palm size but smaller than a standard wired mouse. It weight? Hmm, weight of two iPhone 5 maybe? 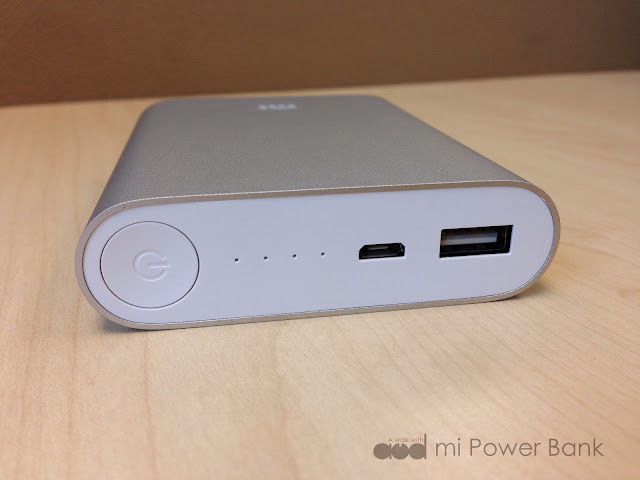 The power bank is made of Premium Li-ion battery cells from LG and Samsung. 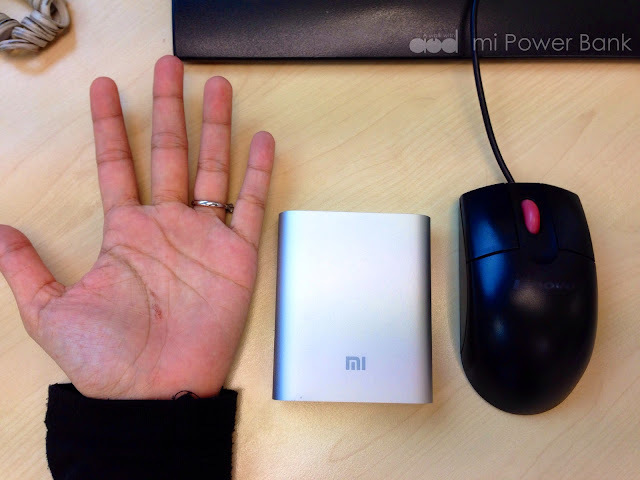 I believe the big capacity does contributes to the weight of the power bank. 10400 mAh can roughly charge my iPhone 5 for 4 times. One full charge of the power bank is good enough to last me 2 days. Apart from the size and the weight, I like the clean and sleek design. To charge the power bank, use the cable that comes along with the purchase. 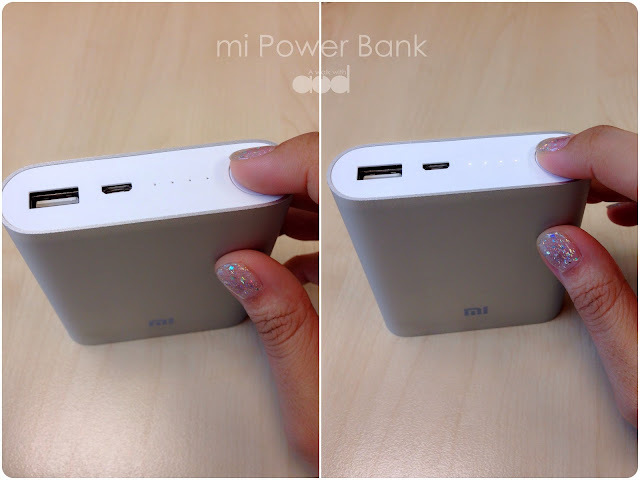 Plug the smaller end to the micro USB interface (input) on the power bank, and the bigger end to the charger. To charge your phone, use your own charger cable. Plug the bigger side of the cable to the USB interface (output) of the power bank, and the other end to your phone and viola! The power bank does not requires on and off. The on off button is to activate the capacity indicator. Press it and the led lights will turned on. 4 lights means its at it's full capacity, 3 lights and 1 blinking means its below 96% and so on. I've been using it for about 2 weeks by now, overall I am quite satisfied with it, RM 36 for a high capacity and good quality sleek looking power bank (although it's heavy), what more you want right? Oh ya, one thing I must highlight is that because it's made of aluminum, it seems to get scratched easily, that's why I am seriously thinking to get a thin fabric cover for it. 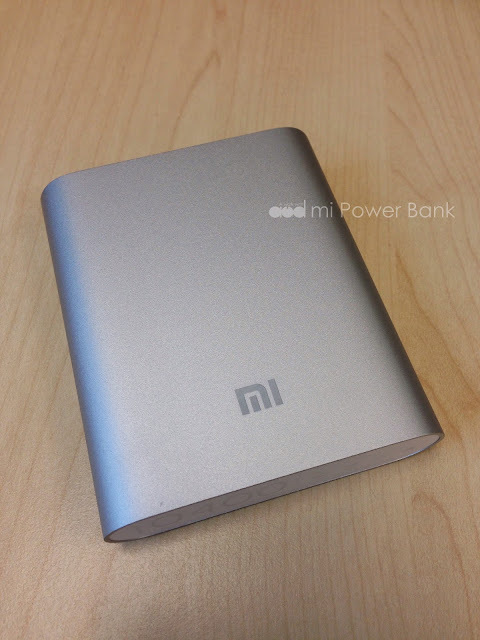 Mi Power Bank can be found on both Singapore and Malaysia official website. Stay tune to their facebook page for their launch to grab one! the only thing is that its quite heavy eh~ and easily scratched..